Save BHD 1.10 (52.38%) – Earn 1 Shukran What is Shukran? Shukran is the Landmark Group’s award-winning loyalty programme in the Middle East, which allows you to earn Shukrans when you shop any of our brands. 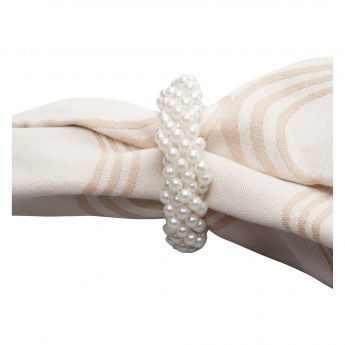 Featuring an impeccable style, this set of two napkin rings will instantly prep up your dining table. It has a light and sturdy make of plastic beads which are joined together to make a modern and appealing ring.